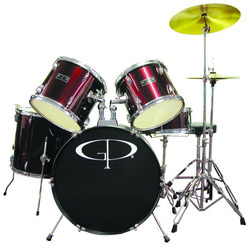 GP drum sets can be purchased in any color. GP 5 piece jr kit. This kit is perfect for kids that are beginning their passion for drumming.